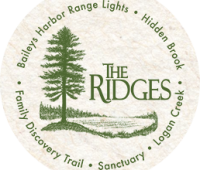 At Ridges Sanctuary, Logan Creek Trailhead - 5724 Loritz Rd. ; 2:00 PM - 4:00 PM. Explore this 170-acre parcel lake with a Ridges naturalist to see a variety of habitats. Bring binoculars, wear good hiking boots. $5 for members, $8 for public. Call (920) 839-2802 for info.